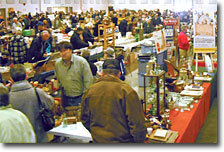 This show features 150+ vendor tables with nothing new...just vintage collectibles! Vendors will be selling small antiques, old tin toys, dolls, advertising signs, country store items, vintage paper items, bottles, Coca-Cola collectibles, books, tools, postcards, tins, coins, china, vintage comic books, vinyl records and board games as well as music, movie & television collectibles, military, railroad, automotive & gas station memorabillia, brewery collectibles, plus sports and other vintage collectibles from the 1930's, 1940's, 1950's, 1960's, and 1970's. At this show you will find an outstanding mix of vendors offering an interesting variety of vintage collectibles. 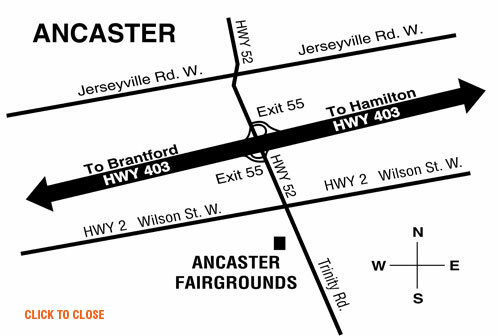 The ANCASTER NOSTALGIA SHOW & SALE is a great event for the entire family or the serious collector.